A.G.C (Arweinwyr Gemau Cymraeg/ Welsh Game Leaders) have been chosen for this year. Due to its great success last year we have decided to continue this term too! 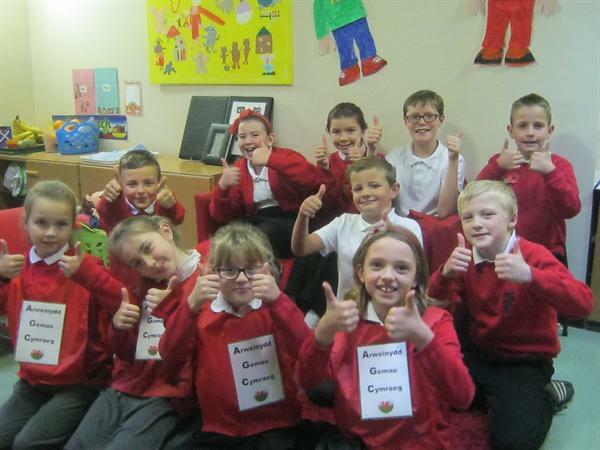 The AGC pupils will be around every dinnertime involving Foundation Phase pupils with playing all sorts of fun Welsh games that promote their Welsh language and teach them new exciting games to play. We are in the process of devising new indoor games to play ready for when the weather turns! Please see Mrs Kay if you are interested in being considered an AGC member!